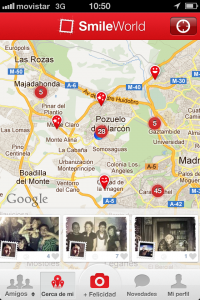 You are here: Home / FEATURED MARKETING / DID COCA-COLA SPAIN LAUNCH AN INSTAGRAM APP ON ANDROID BEFORE INSTAGRAM? 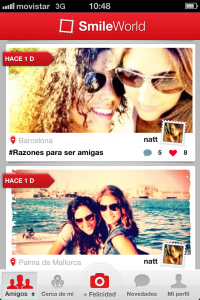 DID COCA-COLA SPAIN LAUNCH AN INSTAGRAM APP ON ANDROID BEFORE INSTAGRAM? Coca-Cola is known for being one of the first and more innovative social media brands out there. Coca-Cola was preparing the first app developed by a brand that is inspired on the successful Instagram application. While other brands are still assessing how to use the Instagram in their marketing strategy, Coca Cola Spain has taken the lead and developed its own ‘’parallel’’ photographic and mobile social network. The beloved app Instagram continues to set a “new trend” in mobile applications and in photo-sharing habits and will probably continue inspiring more and more creative brands. 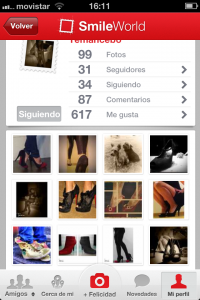 These screenshots show the app’s menu is very close to the current Instagram layout, with a photo share button in the center that the Coca-Cola app labels as “Felicidad,” Spanish for happiness. The rest of the menu looks to be an exact match to the functionality of Instagram with one exception, a geolocation tab that shows a user photos around them on a map. How Do Brands Succeed with Apps? We know that for branded mobile apps, the success is largely determined by the app centering around something the end user wants to do often, daily if possible. Making the app into a useful tool like the Weather Channel or media companies can do, is a great example of this. The goal is to become a utility that the end user needs, in order to cement that relationship. You do not just want the app user to download the app, you want them to use it over and over. So, building on top of an already successful app can be a very smart decision for a brand. There is a higher potential for built-in success. Coca-Cola Spain also looks to be taking a light touch here with the branding. Focusing on their global “happiness” campaign rather than putting the Coca-Cola logo and product images everywhere. Putting the focus on the utility and not the brand’s logo could help it succeed. An important element here is that this app is rumored to be on Android. While the screenshots seems to come from an iPhone, I will assume the story is correct, so maybe the app will launch on both iOS and Android app markets. IF the Spanish app launches on Android, it could be a great opportunity, considering Instagram is not even on Android yet. The original story quotes this new Coca-Cola app as a “parallel” social network. I am assuming that means the app can read and write to the Instagram API, but that is a little bit of a leap on my part (UPDATE: Phil Gonzalez says it is NOT built on the Instagram API). That would give it an immediate user base to build off of rather than starting from scratch. Many apps have similarly used the Foursquare API to build location apps. But, it seems unlikely that a brand would be one of the first people to access the write API on Instagram. The app could be successful either way. While, to date, there has not been an app that can push images to Instagram, Fast Company is reporting that this will change today, when Hipstamatic and Instagram announce a photo sharing partnership that allows users to share their images from one app to the other, with attribution. Similar to how you can push updates from Foursquare to Twitter, and it is labeled as such. Note: Coca-Cola IS on Instagram in at least two countries, Venezuela (cocacolave) and Brazil (cocacola_br).